This is a strange kind of a problem that many US citizens are facing. It is being seen that though one is born in the United States, citizenship of such people is being questioned as the government thinks that the birth certificate of the individuals is fraudulent. This is happening even when the birth certificate is issued by the state in which the person resides. After many such cases were reported, the State Department challenged that such news is not completely correct. Lots of debate are already going on in this topic with mixed reactions. Here is a story of a man, who looks like a devoted and dedicated US citizen from all aspects. As per his American birth certificate it is seen that he was born in Brownsville, right at the southern tip of Texas. He has records of adorning the U.S uniform when he worked in the Army as a private as well as a cadet in the Border Patrol. He currently works as a state prison guard. The problem arose when he applied for American passport renewal but the response from the government awed him. The State Department issued a letter to the person saying that they had question about his American citizenship. Well, this is the not the problem of one individual. There are many people who have official birth records showing that they are born in the United States. However, now they are being denied passports – both for new American passport application and passport renewal. To be precise, the citizenship of the individual is being put into question. Thousands of people are falling in this category and is causing a widespread crackdown. The State Department is being bombarded with questions, to which it said that there has been no change in policy or practice in the adjudication of US passport applications. It also added that the incidence of citizenship fraud is high along the US-Mexico border region. There has been a dramatic shift in immigration enforcement and passport issuance and this has been suggested by immigration attorneys in the US. In many cases it has been seen that passport applicants who have official and valid American birth certificates have been put into jail in immigration detention center and have furthered entered deportation proceedings. Again, many people are stuck in Mexico as their passports were revoked all of a sudden, when they tried re-entering United States. Though the government claims that these attempts are being taken for reducing illegal immigration; but the treatment given out to the people or passport applicants is not being seen as fair or just. As per the government, from 1950s to 1990s, there have been physicians and midwives along the Texas-Mexico border, who played a crucial role in providing U.S birth certificates to babies who actually took birth in Mexico. Some such cases have been proved to be valid as well. However, not all cases are fraud. The dominance of midwives in getting deliveries done was quite common in Mexico as well as in many parts of the US for the charges of hospital care were exorbitant and not all could afford the same. It has been seen that many midwives who provided fraud birth certificates did delivery works of thousands of babies legally in the U.S. The documents issued by the state of Texas are such that it is practically impossible to segregate the illegitimate from the legitimate ones. 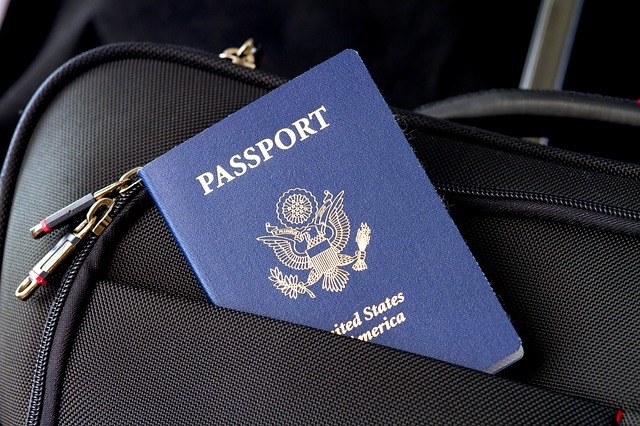 The issue of passport denial is seeing an upsurge currently in the U.S and attorneys handling such cases are finding it difficult to handle large numbers of such cases. People are asking simple questions to attorneys like ‘how to apply for passport’ or ‘how to renew passport’, when the applications are being rejected for the citizenship issue. The State Department is trying to bring things under control. When an application is being rejected on the ground of citizenship issue, the State Department is asking to provide additional information and documentation for establishing the fact that the candidate was born in the United States only. When one is not able to furnish that piece of document, the application is finally rejected. People with U.S birth certificates might never have thought that they would have needed additional documents for proving their legal citizenship. Time will tell how long this issue will take to settle or what will be the final outcome.